Jefferson Highway near the ramps of I-5 northbound, where Love’s will construct improvements. 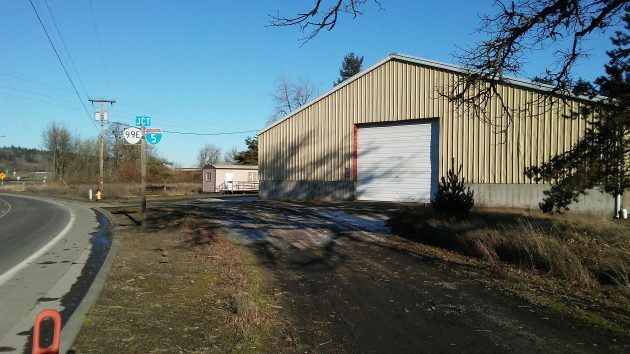 It’s all set now: The Millersburg City Council has approved an agreement paving the way for Love’s to build its planned truck stop, and the Oregon Department of Transportation’s appeal blocking the project has been withdrawn. As reported here last week, the agreement calls on Love’s to construct highway improvements at the northbound I-5 ramps leading to and from Jefferson Highway. There will be a couple of turn lanes, “all-way” stop signs, rumble strips, various warning signs, and changes to an unimproved park-and-ride lot south of the highway. The improvements must be done before Millersburg will issue occupancy permits for the truck stop that Love’s intends to build on Old Salem Road, a few hundred feet southwest of the interchange. The stop signs were the subject of a memo from the state traffic-roadway engineer to the Region 2 traffic engineer. 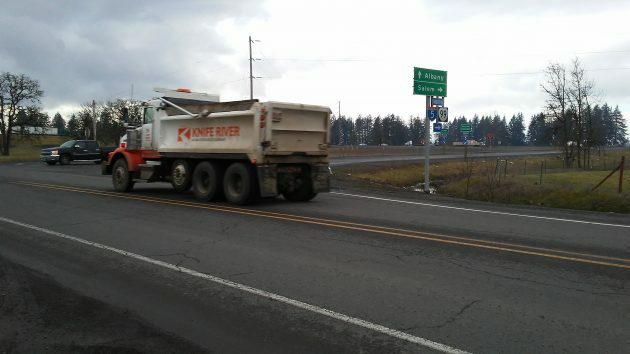 Copies went to six other highway department officials: the Region 2 access management engineer, the Region 2 traffic manager, the ODOT traffic services manager, the ODOT traffic standards engineer, the ODOT traffic investigations engineer, and the ODOT senior interchange engineer. The truck stop will replace these buildings on Old Salem Road.